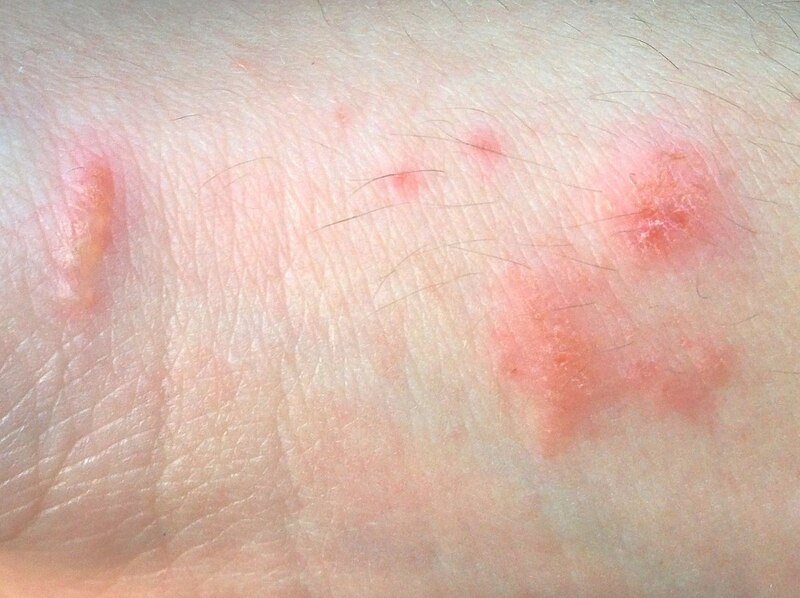 Home | dermatitis | What Are the Most Common Causes of Contact Dermatitis? Contact dermatitis is one of the most common skin conditions that we deal with here at The Dermatology Clinic. Contact dermatitis is a red inflammation of the skin that can be itchy and/or painful. Symptoms may also include bumps and blisters that can ooze or crust over. In general, it is caused by skin coming into contact with a substance that causes an allergic reaction or with an irritant. In most cases, contact dermatitis can be treated topically. Contact dermatitis may be caused by an allergic reaction. Often, an allergen comes into direct contact with the skin, which causes a rash to appear in only the contacted area. Alternatively, systemic contact dermatitis occurs when the reaction is caused by something ingested, like food or medicine. One of the most common allergens is the oil found in poison ivy. Many people are also allergic to certain metals used in jewelry, particularly nickel. In addition to allergens, contact dermatitis can be caused by irritating materials coming into contact with the skin. The most common irritants that people come into contact with are chemical solvents, bleach, or certain fertilizers and pesticides that may touch the skin while people are working in their garden. These substances cause inflammation and discomfort by breaking through the skin’s outer layer. The best treatment for contact dermatitis is often prevention. Wearing gloves or protective clothing when dealing with known allergens or irritants is a good way to avoid the problem. For patients that are uncertain about what is causing the problem, we may recommend a patch kit, where potential allergens are applied to the skin for observation. In addition, if a rash lasts longer than a few days, you should seek medical attention. At The Dermatology Clinic, our doctors and staff are experienced in treating patients dealing with contact dermatitis. We offer products to help soothe and treat rashes and redness. Our team can also help identify irritants or possible allergens in products that may be causing the contact dermatitis and recommend alternative moisturizers, sunscreens, and other skincare products to use instead. Call (225) 769-7546 to schedule an appointment with The Dermatology Clinic today.